They may be celebrating their 40th birthday, but the Stone Twins show no sign of growing up writes Alexander Ecob. 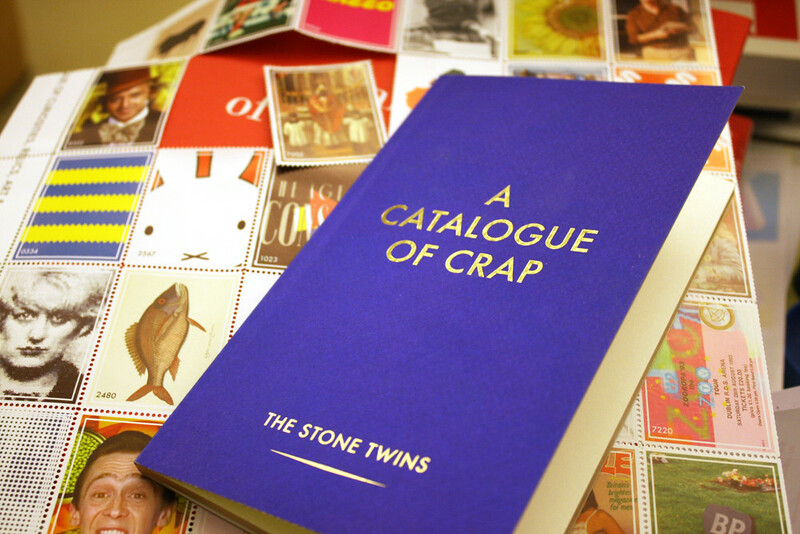 Part celebration, part promotion, the Twins’ A catalogue of crap looks back at some of the passions, inspirations and pet hates of their (joint) octogenarian memory. 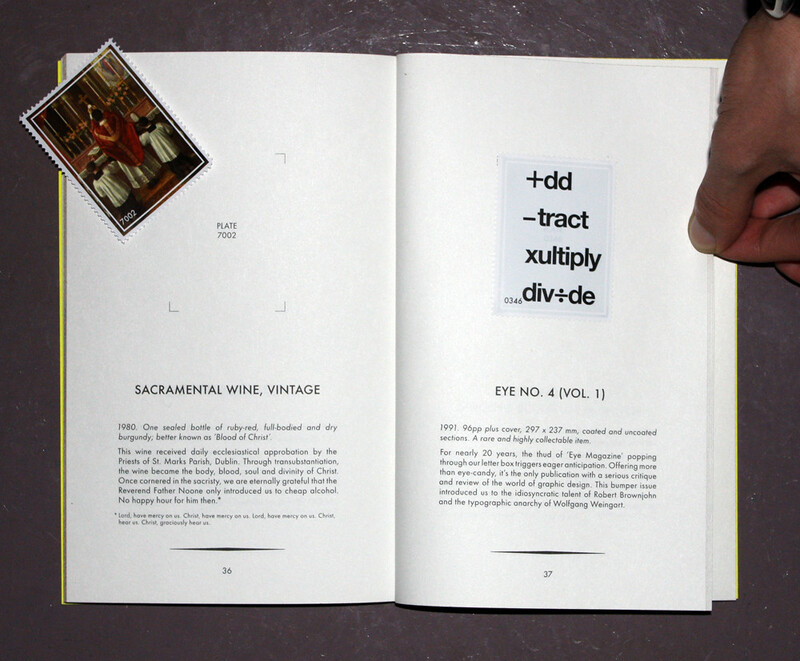 An irreverent send up of the world and themselves, Declan and Garech bring their characteristic humour to the form of an archival catalogue, reminiscing on themes such as a hairy midget, making headstones for logos and an armful more (Eye no. 4 gets an honourable mention). A single-colour print job, Crap evokes publications of the Stone’s birthyear with a full colour sheet of affixable ‘plates’ to pepper through the book as the fancy takes you. ‘What’s the point of it?’, you may ask. Frankly, I’ve no idea, but it made me smile, and in an industry whose practitioners tend to take themselves ever so seriously, I’d say that’s enough. See ‘Chameleons’, the Stone Twins’ article about single-character logos in Eye 67). Eye is the world’s most beautiful and collectable graphic design journal, published quarterly for professional designers, students and anyone interested in critical, informed writing about graphic design and visual culture. It’s available from all good design bookshops and online at the Eye shop. For a taste of the current issue, no. 77, see Eye before you buy on Issuu.